French firefighter officials are saying the main structure of Notre Dame has been saved from total destruction. Also according to the Associated Press, firefighters and other first responders were working to salvage art and other priceless pieces stored inside of Notre Dame. Parisians were seen praying and singing Ava Maria as they watched Notre Dame burn. One firefighter has been seriously injured, said Paris Fire Brigade commander general Jean-Claude Gallet. Gallet said that two-thirds of the roof has been destroyed. 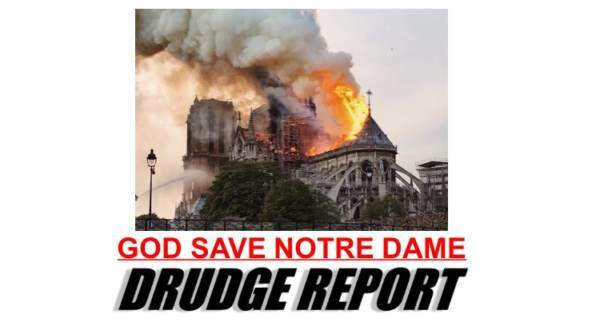 The post NEW: Main Structure of Notre Dame Saved From Total Destruction – Two-Thirds of Roof Destroyed appeared first on The Gateway Pundit.